The 3 points didn't escape from Real Madrid's claws this Wednesday night, with the hosts beating Almeria 3-0 at the Bernabéu and staying close to Barcelona on the top of La Liga standings. 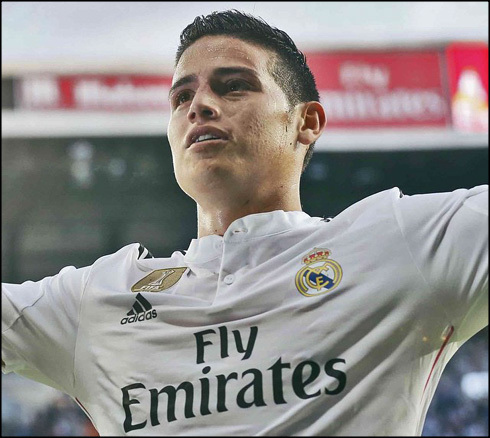 James Rodríguez claimed the spotlight with a terrific goal near the half-time break. No one really believed that Almeria could pose a serious threat to Real Madrid at the Bernabéu, but most of us were certainly surprised to see a goalless draw dragging itself until close to the 44th minute of the first half. The Merengues ended up beating Almeria 3-0 in their Wednesday's night league fixture, in a game where Cristiano Ronaldo couldn't find the back of the net for his 3rd straight match, but where James Rodríguez stepped up to lead his side to a comfortable win. The second goal of the night was an own goal by Mauro Dos Santos, while the third was an empty net tap-in by Alvaro Arbeloa. It wasn't the brightest of performances, and admittedly, at times it looked quite labourous out there, but Real Madrid kept pace with Barcelona at the summit of La Liga. 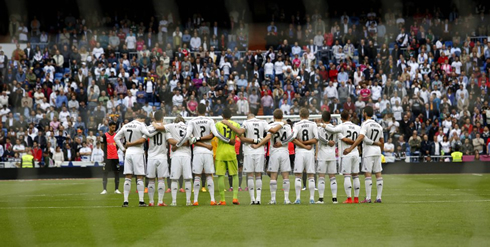 In the end however, it was comfortable as Madrid ran out 3-0 victors vs Almeria. It was a tough first half for Real Madrid, who looked quite sloppy in many occasions. Perhaps down to Ancelotti's changed squad, but there were countless misplaced balls and weak challenges as Almeria showed that they were not here to lay down and play dead. Real Madrid would fare better in the second half, as they opened up a few more holes in the Almeria backline. Just three minutes after the half and they would double their lead, this time thanks to some help from Almeria themselves. A brilliant through ball down the line from Jese Rodriguez to Toni Kroos freed the German, who then squared the ball right into the six-yard box. Initially, it appeared that Cristiano Ronaldo had knocked in his 40th league goal of the season, but replays showed it was an errant touch by Almeria defender Dos Santos, as he scrambled back to clear the ball. The game was billed as Martin Odegaard's potential debut, and when the 16-year-old Norwegian got off the bench to warm up in the second half, an expectant Santiago Bernabéu crowd began to murmur. But Carlo Ancelotti would not grant him his debut in the end. Real Madrid, however, wouldn't need him anyway. They would finish off the opposition in the game's final minutes. Chicharito square pass from the left side was met by the foot of Alvaro Arbeloa on the far post. The veteran defender finished off the play netting his first goal of the season. Now it's time for Madrid to begin to face their real test. The next four games: Sevilla (A); Juventus (A); Valencia (H) and Juventus (H), will decide if this season has been a success or not. 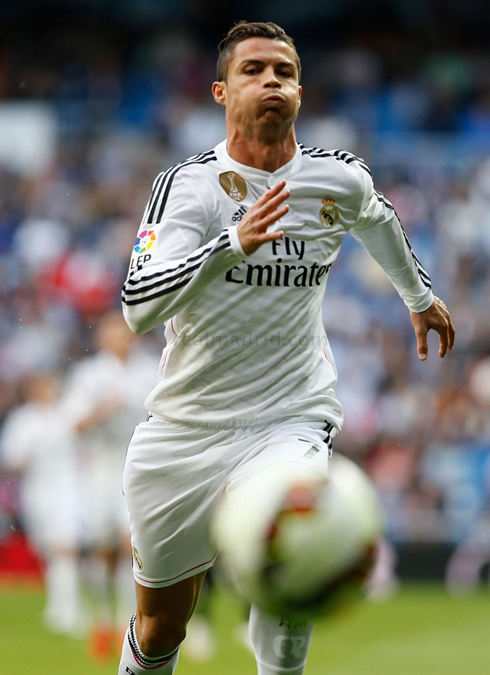 Cristiano Ronaldo next game will be for the Spanish League against Sevilla, on the 2nd of May of 2015. You can watch Juventus live stream, Sevilla vs Real Madrid, Cordoba vs Barcelona, Manchester United vs WBA, Liverpool vs QPR, and Bayer Leverkusen vs Bayern Munchen, all matches provided from our soccer live game pages.